This report on Mexico’s state-owned oil company PEMEX is part of a series of OECD reviews of Mexico’s procurement institutions. PEMEX’s procurement system was overhauled after Mexico’s 2013 Energy Reform opened up the sector to private participation, requiring PEMEX to compete in an open market. 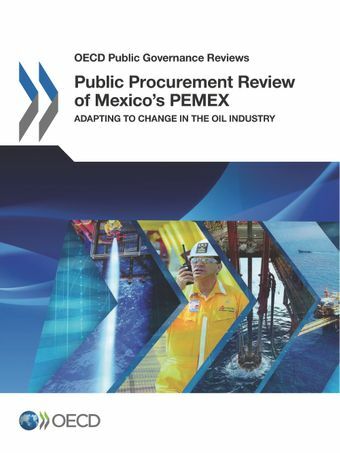 Using the 2015 Recommendation of the OECD Council on Public Procurement as a benchmark, the review assesses the effectiveness and integrity of PEMEX’s entire procurement system while identifying a series of actions for improvement. A state-of-the art procurement system can not only help PEMEX achieve value for money on a sustainable basis, but also support other social and environmental policy objectives in Mexico.